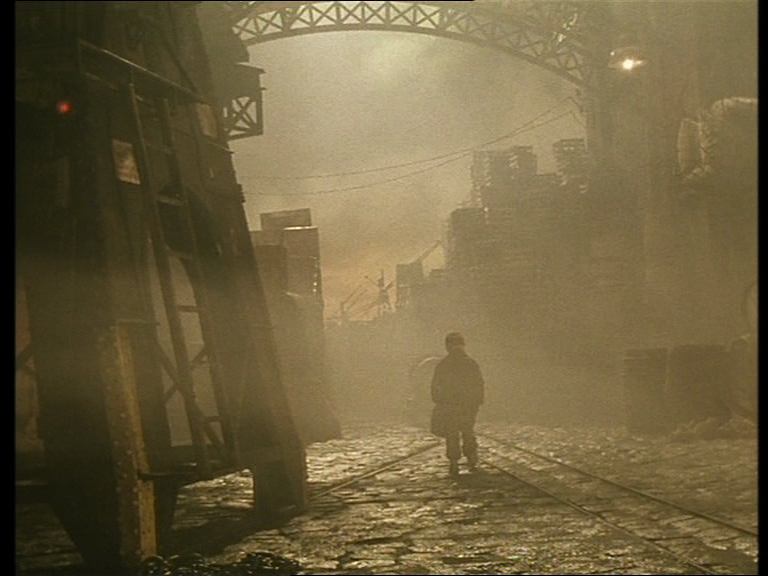 When I am asked to name my favourite film (a very difficult decision) I usually choose this – The City of Lost Children. 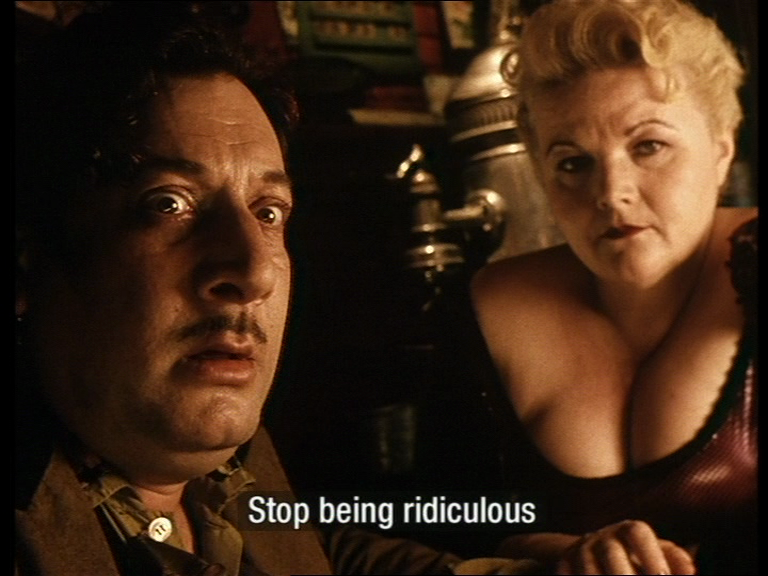 It doesn’t seem to matter how many times I see it, I still get lost in the amazingly detailed world that directors Jeunet and Caro created. It is a film I have seen many times and will no doubt watch very many more and I still love it. It tells the story of One, a carnival strongman who looks after his petit frère Denree in a very Victorian styled port city. 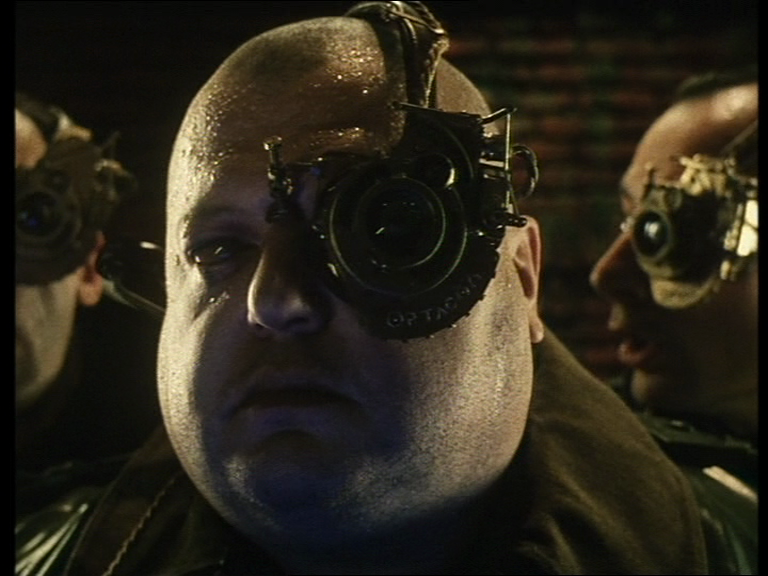 Denree is stolen by the Cyclops, men who put out their own eye to use an electronic version, and sold to the evil Krank. 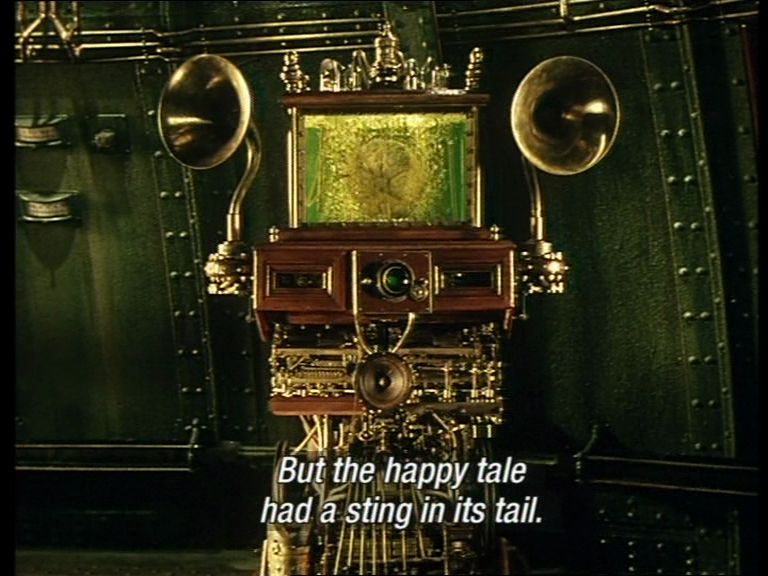 He is a mad scientist who lives in a fantastical rig in the ocean, along with his dwarf wife, 6 narcoleptic clones and Uncle Irvin, a talking brain in a fish tank. Krank has grown prematurely old because he cannot dream and uses his scientific genius to extract the dreams from the children he steals. He thinks that these will help stop his ageing, although I would have thought the constant nightmares the children produce would have accelerated the process instead. One sets out to find Denree and along the way is helped by Miette, an orphan who heads a group of child pickpockets and thieves. These thieves in turn are under the rule of the Fagin-like Octopus who appropriates their takings each day and threatens hideous punishments for underachievers – a dark hole full of spiders is certainly my worst nightmare! Added in to the story are an alcoholic failed side show owner, whose flea circus is used to deliver mind altering drugs and a diver who lives under the sea in the port, salvaging everything that falls into its murky depths. The best part of the film is undoubtedly the visuals (which is why I’ve gone a little crazy on the number of screencaps here!). 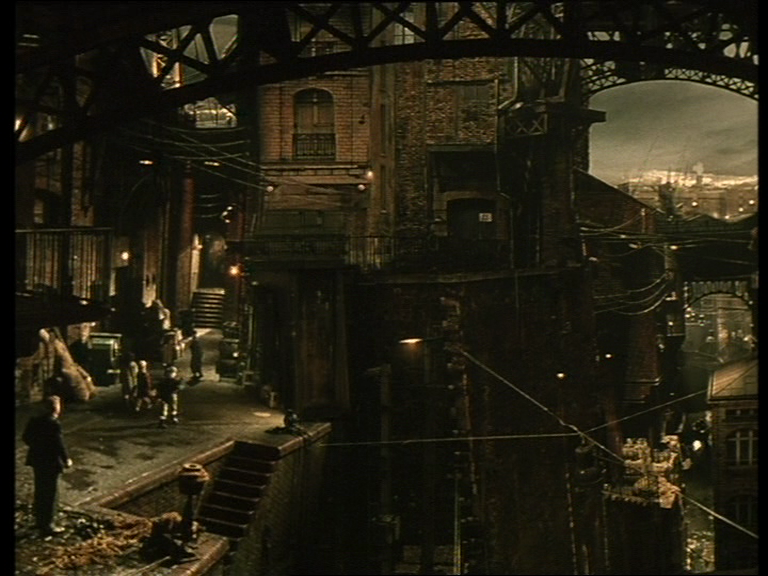 The harbour city is full of bridges, stairs and swirling fog and emphasizes the Dickensian feel given by the costumes and carnival barkers. This is further alluded to by the Octopus, conjoined twins played by Geneviève Brunet and Odile Mallet, and their team of child thieves. 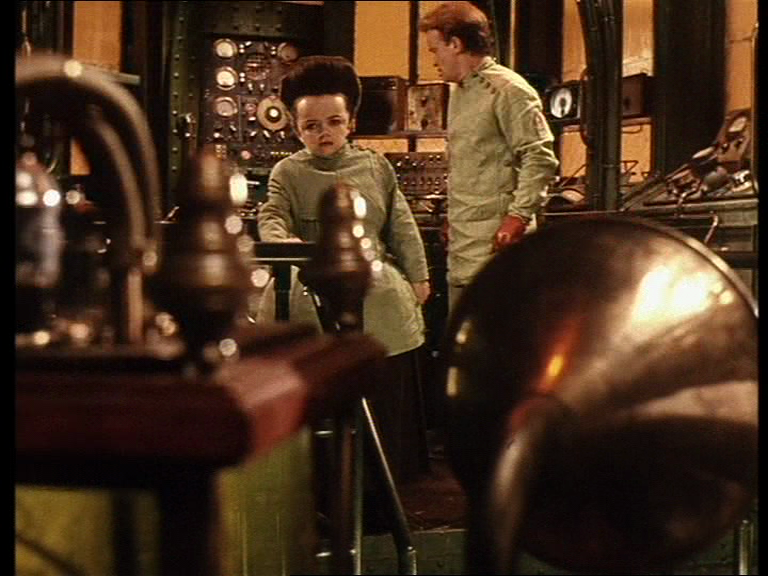 The more futuristic laboratory evokes the writing of Jules Verne in the device used by Krank to extract the dreams and the cranky migraine prone brain in a tank. The meeting place of the Cyclops on seems to be designed to look like one of the circles from Hell with a roaring fire and steeply pitched seating at the sides. Along with the bombastic rhetoric of their leader Gabriel Marie (Serge Merlin) it’s very apocalyptic, until they head out around town with a very quaint wagon to pick up the children. I am intrigued by the Cyclops and their relationship to the old ‘seer’ belief that you can see more clearly by removing your own natural vision. In this case rather than an inner eye they use an artificial eye but sadly the philosophy behind their decision isn’t ever explained or explored in any detail. The device seems to sue some kind of sonar and their vision is turned a wonderful green as a result of using this manufactured eye. In reality they are quite pitiable and when it comes down to it, not a very effective fighting force due to the limitations of their mechanical enhancements. I love the many and varied characters that populate this world. Ron Perlman is perfect as One, the rather simple strongman who speaks in very short declarative sentences. I am very impressed by his accent as he really doesn’t sound American at all, although his rather limited script probably does help. One is a rather tragic figure too. His description of how he was a sailor on whaling ships until he heard the whales singing and subsequently lost his job because his harpoon would always miss is very poignant. He is very protective of his younger brother, even though Denree is an orphan he has adopted, and he takes the same care of Miette despite the fact that she seems much better equipped to take care of him. 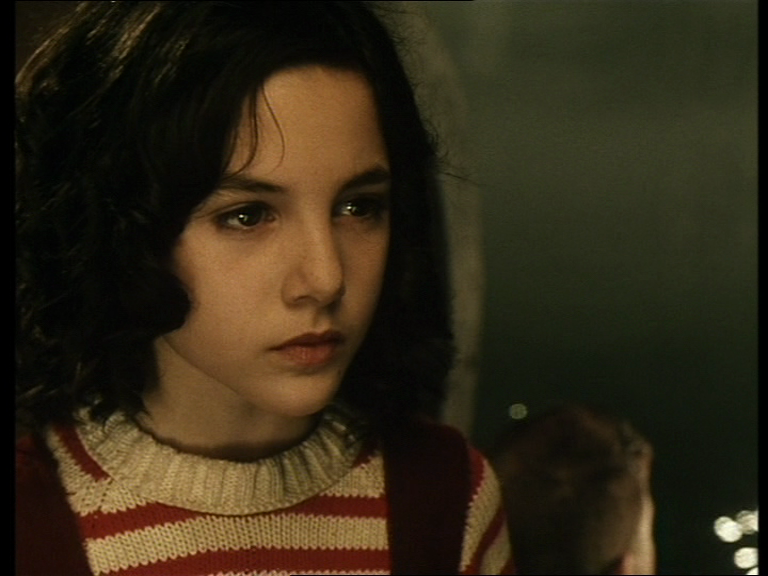 Judith Vittet is very good as Miette, the streetwise kid much older than her years. Her competence and quickness of thought is such a contrast to One’s more lumbering presence and it creates an appealing dynamic. 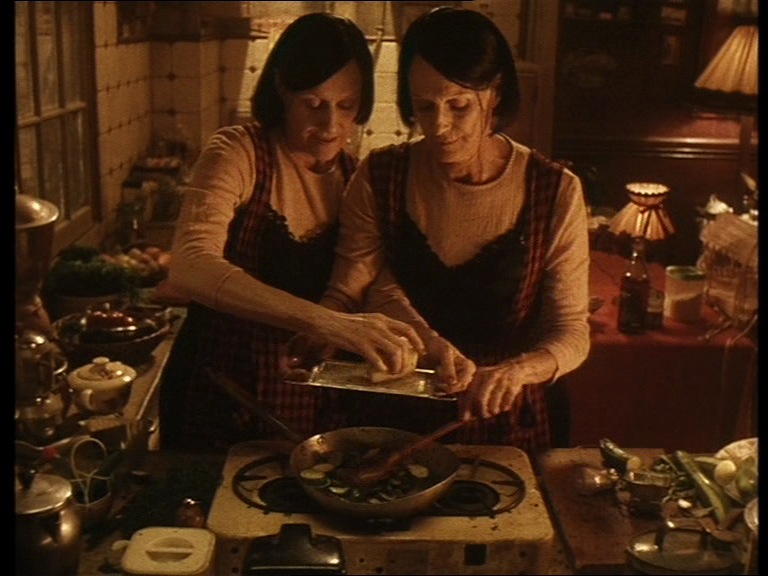 Miette appears to become attracted to the silent strength of One, and it is to Jeunet and Caro’s credit that their relationship never becomes tawdry or sexualised, but remains innocent and sweet throughout the film. 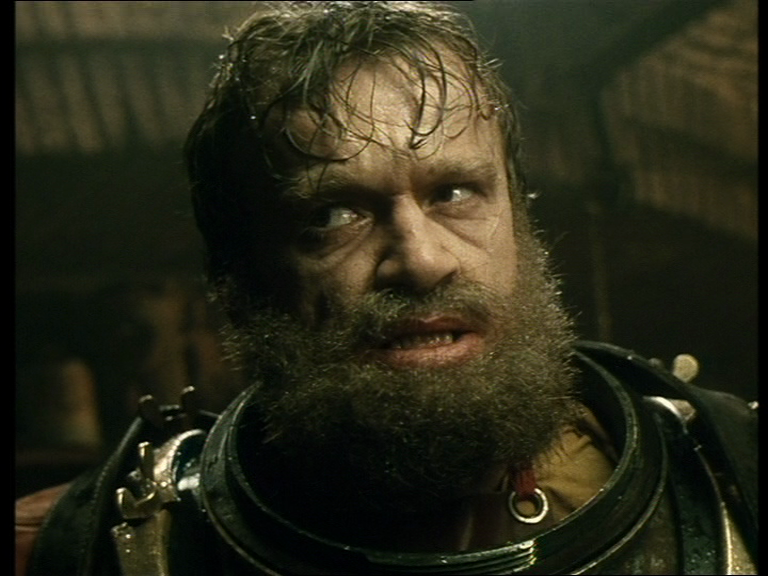 Perhaps the most challenging role in the film is that of the diver and the clones, all played by Dominique Pinon. He has an amazingly mobile and rubbery face and manages to give each clone their own personality as they try to placate Krank, do all the work around the laboratory and argue over who is the original. 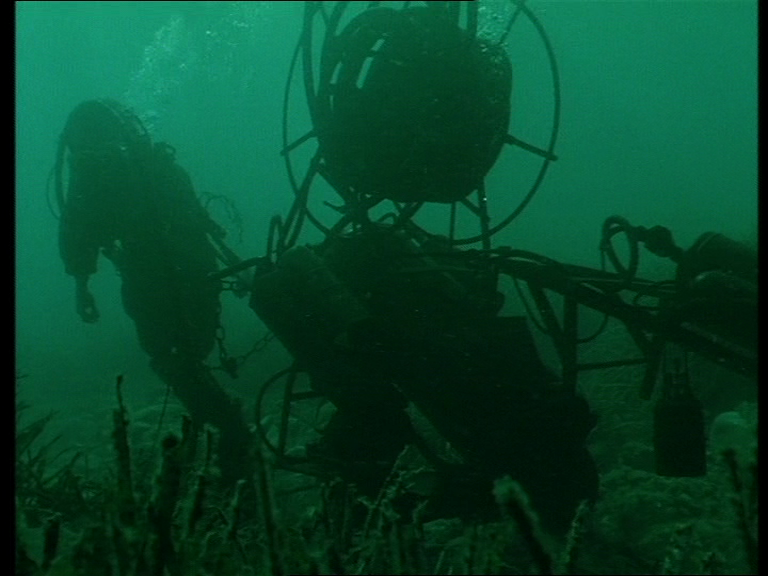 As the diver he is wonderfully obscure and insane. This is beautifully illustrated by the way that when he first salvages Miette from the water he merely adds a label to her listing the date and place of her discovery rather than trying to see if he can revive her. Mirelle Mossé is excellent as the diminutive Mademoiselle Bismuth and Jean Louis Trintignant is wickedly barbed as the voice of Uncle Irvin. He gets some of the best lines and often appears as the voice of reason just to add even more to the unreality of the story. Daniel Emilfork is alternately petulant, childish, terrifying and domineering in an excellent portrayal of the mad genius created by the missing scientist. He makes him a most unattractive character and it’s impossible to feel any sympathy for him and his plight as he really is just evil. 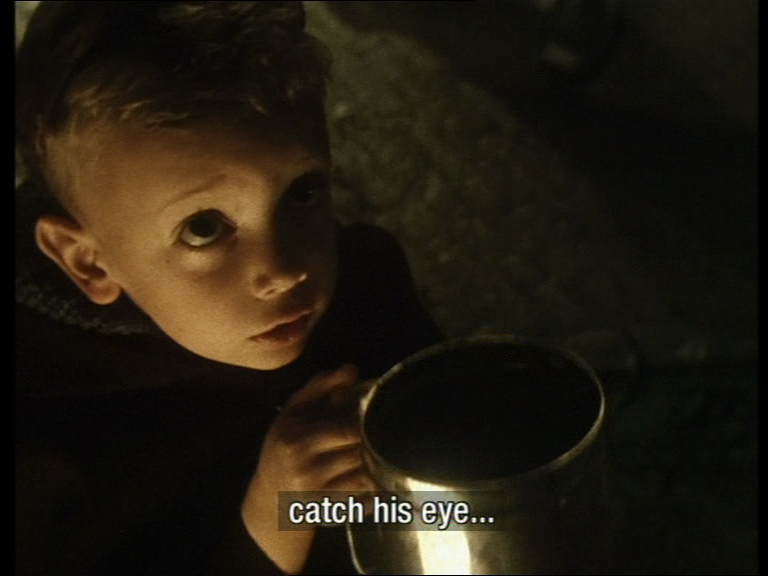 Another feature I love about the film is the intricate methods the characters use to attain their ends. 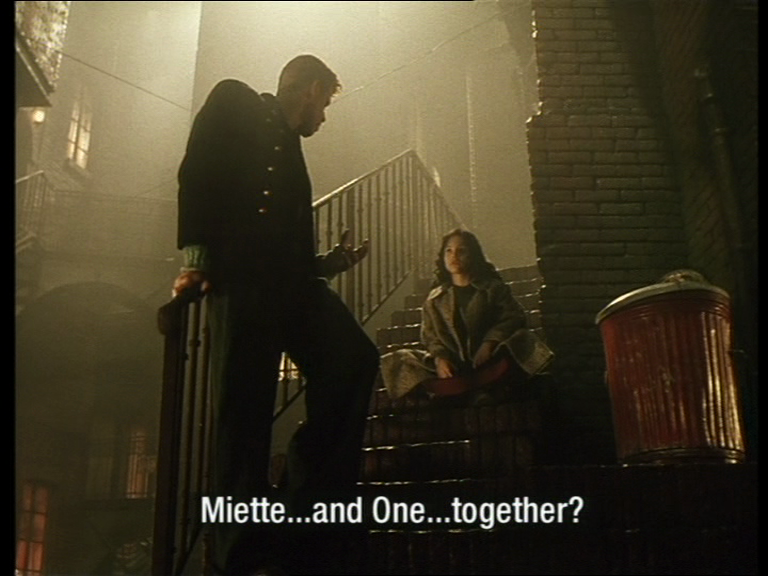 For example, the way the Cyclops use to get rid of Miette and One is to tie them up and put them on the end of a plank over the sea. The plank is anchored at one end by a basket of fish which attracts seagulls, ensuring that the weight of the baskets gradually diminishes and the pair will eventually topple into the sea. Tossing them straight in would have had the same ultimate effect, but wouldn’t have allowed them to bet on the outcome. Similarly when Miette and her band of thieves are trying to break into a business they uses a complicated method involving cheese and a magnet attached to the tail of a mouse, when the magnet alone would have worked equally well. There are many more of these elaborate devices throughout which add a surreal feel, as if we’re watching an alternate universe where the usual laws of the natural world don’t apply. The machinations of the Octopus and her partner in crime the Peeler are equally labyrinthine and the idea of using performing fleas to induce mind control over their victims is just another twisted thread in the tale. It’s all just wonderfully bizarre. 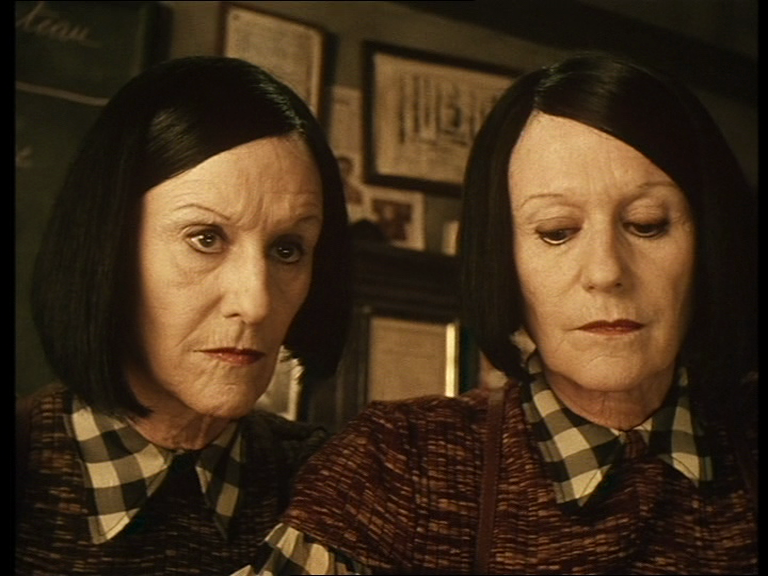 Geneviève Brunet and Odile Mallet really do appear to be twins and the way they manage to make their hands work as four instead of just two is fascinating. 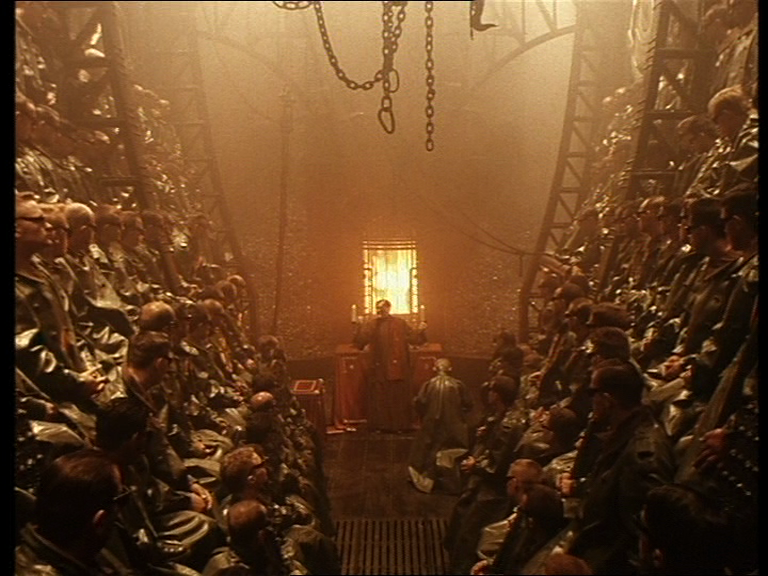 The costumes suit the rest of the film visuals and are designed by Jean Paul Gautier. 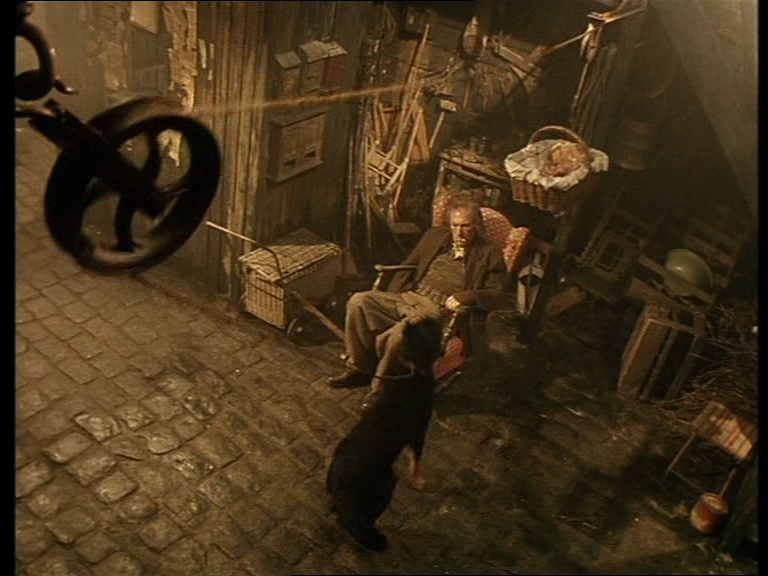 The excellent cinematography is by Darius Khondji and Jean Rabasse is the art director who translated Jeunet and Carot’s vision to the screen so beautifully. 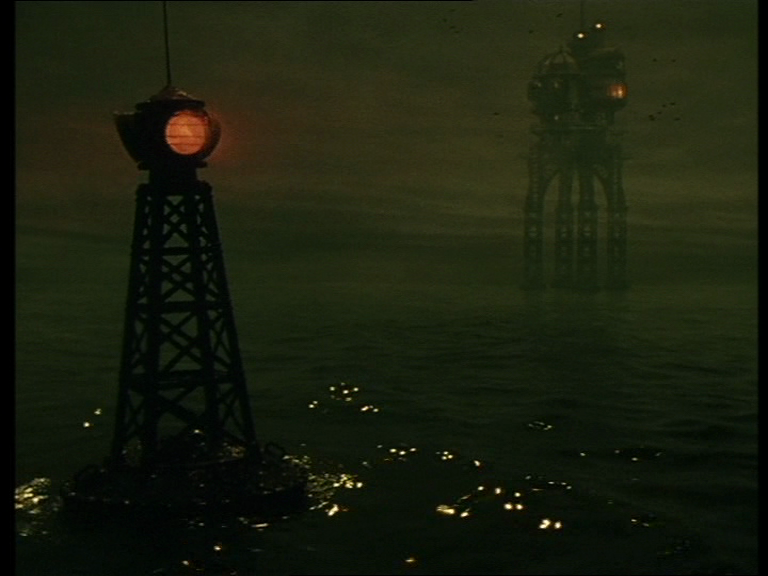 The music by Badalamenti is haunting, evocative and fits the surreal nature of the film perfectly. 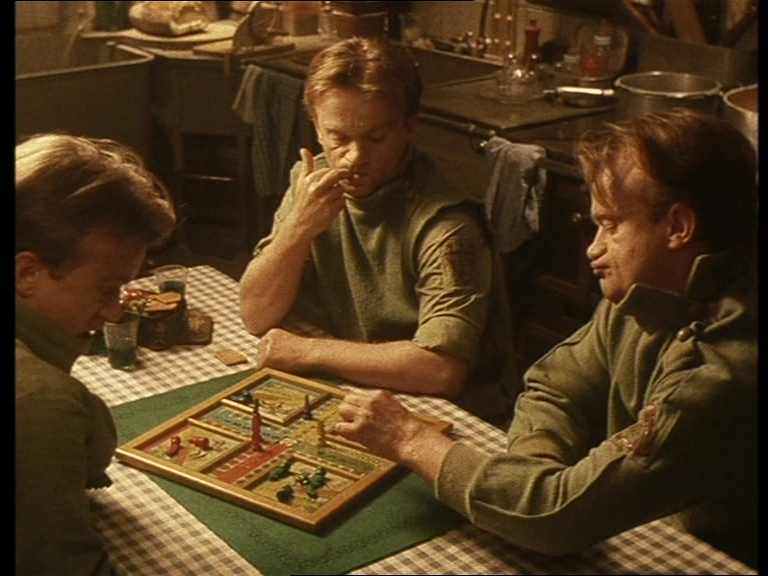 I really can’t fault anything in this film. I’ve read other reviews where people have complained that the plot is lacking, or that the film develops very slowly, but I think the story is well developed and that it moves quickly enough that it has taken me numerous viewings to see every detail. And I’m sure there are things I have yet to spot. It’s not for everyone, but if your taste runs to the surreal or bizarre then it’s definitely one to watch. 5 stars. 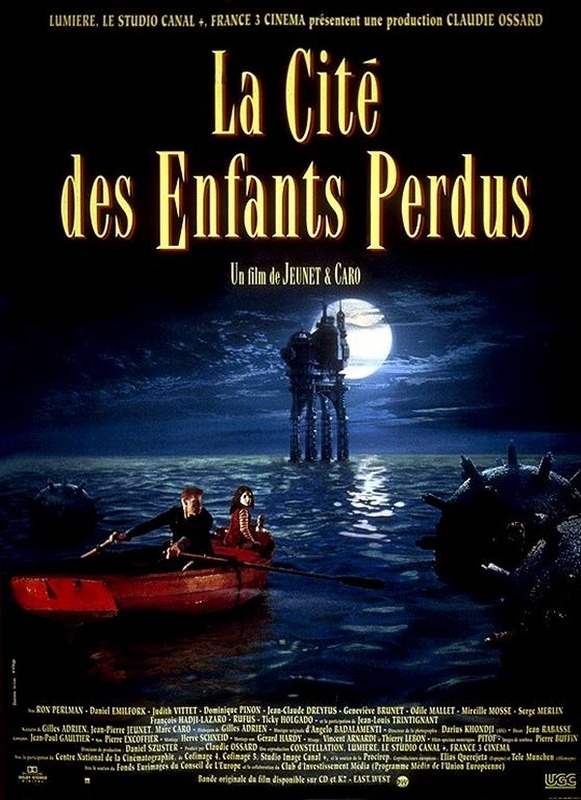 This entry was posted in Rest of the World and tagged Badalamenti, City of Lost Children, Daniel Emilfork, Darius Khondji, Dominique Pinon, French cinema, Geneviève Brunet, Jean Louis Trintignant, Jean Rabasse, Jean-Pierre Jeunet, Jeunet and Caro, Judith Vittet, La Cité Des Enfants Perdues, Marc Carot, Mirelle Mossé, Odile Mallet, Ron Perlman. Bookmark the permalink.